A much flashier, The GARNET RED GALAXY SIII, finally, is available and goes for sale in the U.K for £429.99. The Samsung Galaxy S III Garnet Red international availability was announced in August alongside the Amber Brown, Sapphire Black and Titanium Grey variants. Now the Garnet Red is available in the U.K.
You can order the device from Expansys's website and it would probably take between 3 and 5 business days to arrive. You may also opt for the express delivery for an additional 7 pounds. 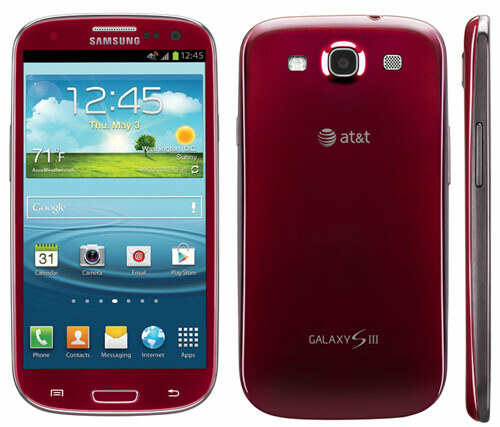 Carphone Warehouse is also offering the red Galaxy S III and we expect more retailers to start selling the gadget in the upcoming days. 0 Respones to "Garnet Red Galaxy S III lands in UK, costs £429"